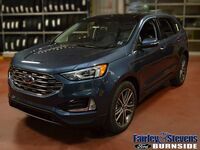 The 2019 Ford Edge is an SUV that delivers a modern sophistication, offering an exceptionally appointed interior and great performance! This great vehicle has plenty for any driver to enjoy, with a suite of standard safety features, great power, and a ton of space for you to enjoy! However, the SUV market is a highly competitive one, with a lot of great vehicles to compare against. These vehicles include the new 2019 Subaru Outback, an excellent SUV that’s highly rated! Picking between these two excellent SUVs can be very difficult, especially for those that are not vehicle experts! Thankfully, we at Fairley & Stevens Ford are experts when it comes to vehicles and what they offer, and we know how to find the best possible deals! Continue reading below to learn more. 3,500 lbs. Maximum Towing Capacity 2,700 lbs. 73.4 Cubic Ft. Total Cargo Space 73.3 Cubic Ft.
As you can see from the table above, the new 2019 Ford Edge and the new 2019 Subaru Outback are both great SUVs, especially in terms of their safety. Both SUVs have excellent NHTSA safety ratings, five stars on each, as well as great standard safety features. These include the Ford Co-Pilot360 for the new Ford Edge and the Eyesight Driver Assist on the 2019 Subaru Outback. 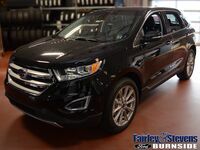 The new 2019 Ford Edge does offer greater overall cargo space, as well as greater overall power. This includes its towing capacity, which is delivered by the 2.7-liter EcoBoost® engine on the new Ford Edge, which delivers 335 horsepower and 380 lb-ft of torque. 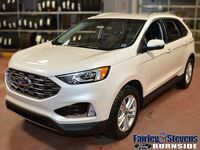 Overall, between these two vehicles, the new 2019 Ford Edge is the better deal! To learn more about this great SUV, and what it has to offer you, contact us at Fairley & Stevens Ford today!